Mijente is a digital and grassroots hub for Latinx and Chicanx movement building and organizing that seeks to increase the profile of policy issues that matter to our communities and increase the participation of Latinx and Chicanx people in the broader movements for racial, economic, climate and gender justice. Mijente is our 501(c)(4) and Mijente Support Committee our 501(c)(3). To apply, submit your resume along with a cover letter OR video submission. Video submissions should be no longer than 3 mins and can be in English or Spanish. If you have any questions about the application process, please email info@mijente.net. Chicago in December can be unforgiving. But in the winter of 2015 when a few hundred people gathered in the windy city, the snow relented and it wasn’t nostril freezing times. Or, maybe it was the free chapstick we distributed at Lánzate::The Jump Off. Mijente was born to a group of Latinx and Chicanx people, radical in their vision and multiplicitous in their strategy, hailing from many parts of the continent. Scattered across place and time, but somehow, arrived. We asked ourselves: Was it time to build a new political vehicle for our people? What would truly make this time different? What does political home mean when so many of us are exiled, numb, disconnected or just trying to get to the next day? We set off, romantics at heart, because we knew how hard it would be, but pledged to try anyway. We set off, guided by experiences gained by the fire of fights past – fighting to end deportation, to decarcerate, for LGBTQ liberation, for Black liberation, for fair wages, para el buen vivir. What happened next? Best believe it is interesting. We can tell you more about it, if you’ll consider applying and helping us write and tell the rest of the story. Starting salary is negotiable commensurate with experience; benefits include vacation, personal time off and health and wellness package. This position is remote and requires moderate travel. Position open until February 25th. Develop a strategy of story that translates Mijente’s principles, analysis and agenda to a broad range of stakeholders. Seek and surface stories from members, allies, staff, donors and others. Support and develop others to tell their own story. Build strong working relationships with members of the media and pitch relevant and timely stories. Follow current news and popular culture; identify political opportunities and narrative trends and propose plans of action when needed. Maintain the organizational press database. Provide coaching, technical assistance and amplification to member and partner efforts. Manage the organizational editorial calendar to plan, prioritize and perfect the stories to be told. 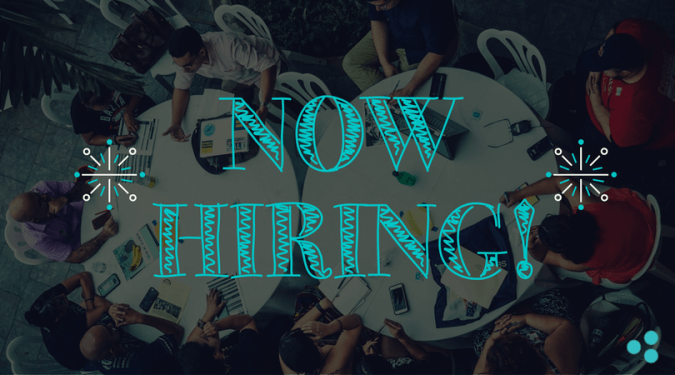 Serve as the lead developer on organizational content creation. Create compelling written content and graphics. Work with Digital Director to manage social media and website content. Roll deep with Millennials, have a visa to the iGeneration but can still be effective with the Boomers. To apply submit your resume along with a cover letter or video submission to info@mijente.net. Video submissions should be no longer than 3 minutes and can be in English or Spanish. Mijente is an affirmative action employer. 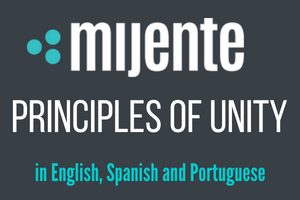 Mijente believes that all people are entitled to equal employment opportunity and does not discriminate in any matters on the basis of race, color, ethnicity, gender identity and presentation, religion or spirituality, age, national origin, ancestry, citizenship, physical or mental ability, sexual orientation, physical characteristics, marital status, pregnancy or parental status.